The Latest Entry in the Conjuring-verse is as By-the-Numbers as One Could Imagine, which is a Shame Given the Source of the Story. The DC Cinematic Universe Continues to Thrive by Focusing on Individuality and World-Building rather than Teams and Cinematic Universes. The Latest Marvel Cinematic Universe Film and the First to Have a Female Lead Sells us on A Lot of Stuff, but not Specifically on the Character. Tim Burton's Live-Action Re-Make of the 1941 Animated Disney Feature is Beautiful and Emotional Even if it is About a Flying Elephant. This Updated Version of the 1989 Film Based on Stephen King's Original 1983 Novel is as Dark and Gruesome as Ever Without Resonating as Deeply as it Scars. 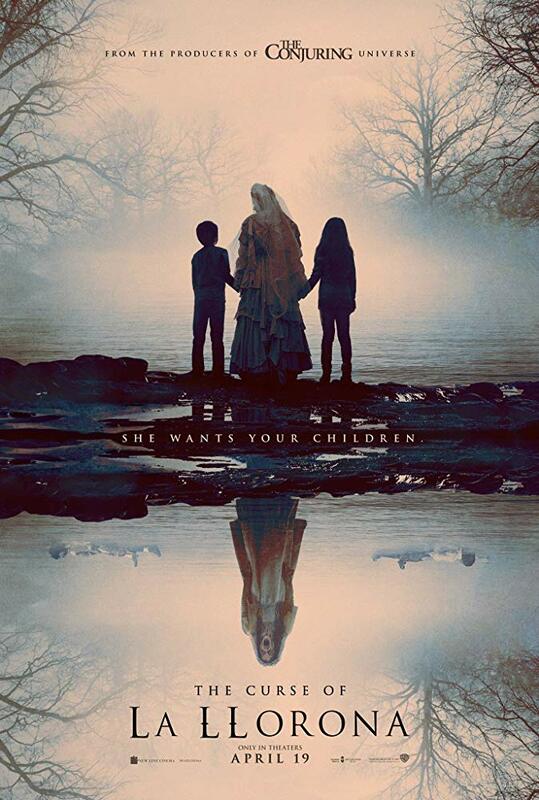 As is typically the case, Easter weekend was slower than usual at the box office, but even with The Curse of La Llorona performing above expectations and coming in at number one with $26.5 million the new releases, which also included Breakthrough and Disney Nature's Penguins, couldn’t salvage movie theaters from suffering the worst Easter weekend showing in almost fifteen years. This total domestic take for the box office amassed $112 million in ticket sales, the lowest haul since 2005, according to Comscore. This decline is undoubtedly due to every studio in town refusing to open a big movie ahead of Disney and Marvel’s Avengers: Endgame, which is expected to smash every record ever set when it debuts tomorrow night. In remaining focused on this past weekend though, La Llorona also launched in seventy-one international markets and brought in an roughly $30 million for a $56.5 million global total and all on a budget of $9 million; want to know when they'll stop making movies in The Conuring-verse? When they stop making returns like this. Filling out the rest of the top five sees Shazam! in the runner-up spot, dropping only -29% in its third weekend with $17.3 million the film's domestic total now tops $121 million while another $22 million internationally this weekend pushes its overseas cume to $201.5 for a worldwide gross of more than $322 million...also not bad for a $100 million super hero production. In third place is Disney's first official Fox release with the faith-based feature Breakthrough, which opened on Wednesday and delivered $11.1 million for the three-day and $14.6 million over the five-day. The film received an "A" CinemaScore and played to an audience that was 65% female and 70% over the age of twenty-five which will make it interesting in terms of how this might will hold against the likes of Avengers as well as throughout the remainder of the "Easter season". Getting a bump from the aforementioned Avengers: Endgame, Captain Marvel came in fourth place after receiving a +6% increase over last weekend despite losing three hundred and twenty-two locations. Finally, the Universal/Regina King comedy, Little, rounded out the top five as the $20 million production dropped -45% in its second weekend with $8.45 million for a domestic cume just shy of $30 million. So, how high do you think Avengers: Endgame is going to fly? Be sure to get your predictions ready as showtimes start as early as 6 pm tomorrow and be sure to check back with Tavern Talk for full spoiler and non-spoiler reviews this weekend. As always, be sure to follow the official Initial Reaction YouTube channel as well as on Facebook, Instagram, and Twitter where you can find a new review (or reviews) each week! Paramount Pictures has released the first trailer for Ang Lee's latest directorial effort, Gemini Man, a sci-fi thriller that employs Will Smith as an assassin tasked with hunting down his younger self-a clone. While the premise may sound more than a little familiar (Looper anyone?) and it's not a great sign that the screenplay is credited to at least seven individuals this is still an Ang Lee (Brokeback Mountain, The Ice Storm) production and for that reason alone is worthy of some attention. Lee, who last won an Oscar for his directing effort on 2012's visually stunning Life of PI had a rough time with his follow-up in 2016's war drama, Billy Lynn’s Long Halftime Walk. The filmmaker, who has always been known to push the technological limits, shot that film completely in 4K and at 120 frames-per-second, but unlike PI (at least during it's theatrical run) the film made no cultural impact and even less of a box office impact as the $40 million production barely made it past $30 million at the worldwide box office. With Gemini Man, Lee enters into a more straightforward genre picture and with a double dose of one of our most charismatic stars as Smith is pulling double duty in portraying both the younger and older versions of himself (unlike Looper) as Lee is using de-aging VFX to portray the 50-year-old Smith hunting down his 23-year-old self. All of this said, the trailer looks a little more bland than I was hoping given the team involved and the story they're telling, but the action looks to be executed in a top notch fashion (as it should coming from the guy who made Crouching Tiger, Hidden Dragon) even if trailer trope of using a sad cover song-especially a song like “Forever Young”-really puts into perspective how kind of "behind the current" this trailer makes the movie feel despite the fact it's undoubtedly on the cutting edge of technology. Here's to hoping this is just a bad piece of marketing rather than a true indication of the final product. Gemini Man also stars Mary Elizabeth Winstead, Clive Owen, Benedict Wong, Douglas Hodge, and opens on October 11th, 2019. A horror film based on Mexican folklore about a "weeping woman" who drowned her own children in a river and is then doomed to an eternity of seeking out the children of others is, well...a pretty great set-up in story and tone as well as hinting at the natural aesthetic a movie should take. So, how hasn't this been converted into a product for profit already? Unfortunately for Hispanic culture, director Michael Chaves-in his feature directorial debut-seems to have been told to approach this from a very specific standpoint by a studio invested in a very specific vision of a cinematic universe rather than from a financier who might have allowed the filmmaker to integrate the natural inclinations the folklore would lend to a visual representation. 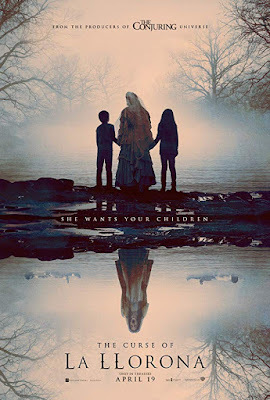 That said, and this is somewhat ironic, The Curse of La Llorona's biggest strength is in fact its visual prowess as the narrative resorts largely to jump scares and extended sequences of as much rather than nurturing an actual story or developing actual characters. Though I haven't seen any of the shorts Chaves has directed, La Llorona feels very much in line with the visual stylings of James Wan, the originator and cultivator of this series of horror films from the same universe. In approaching such promising material from this mindset, the result is almost inevitably middle-of-the-road as it hits all of the required beats without ever making the audience dance (or squirm) to its rhythm. Furthermore, while Chaves and his team go to great lengths to nail down an atmosphere and period-specific details (like The Conjuring films, this also takes place in the 70's) much of it is in service of few to no genuine scares. There is even a general lack of creepiness as all that occurs and all that is being threatened to happen to these characters we mostly care about only because they are either children or widowed women are more broad examples of horror movie tropes than they are specific consequences of having encountered as unique a figure as the "weeping woman". While one might expect a single-word description of how they feel coming out of something called Hellboy to be along the lines of "bewildered" or "curious" or even "confused" what it actually feels like coming out of Neil "The Descent" Marshall's 2019 re-boot of the Hellboy comic character is "numb". There is so much happening in this desperate (zero-sense making) attempt to bring Mike Mignola's comic back to the big screen in hopes of launching another new franchise that it doesn't seem anyone involved stopped long enough to actually consider what that franchise might need to look like given the context of its existence. Instead, screenwriter Andrew Crosby is throwing as many characters, subplots, flashbacks, and countless other things at the audience at once that it's overwhelming to the point of feeling nothing. That is to say, this new Hellboy fits squarely into the cliché of "everything and nothing all at once". If one were to describe Hellboy and everything the film contains it would be almost ignorant to think that what was about to come your way couldn't potentially be one of the greatest albeit most ridiculous things ever concocted while in reality it turns out to be nothing short of the definition of incoherent. And despite so much going on, nothing lands, nothing to make you-the viewer-care about anything or anyone on screen. Yes, there is technically a narrative here, but this is mostly just an excuse to exercise some cool practical make-up and prosthetic techniques as strung together through blandly executed action sequences (except for the final, epilogue scene-where is that full version of Hellboy at?!?!). It’s not all bad as David Harbour (Stranger Things), taking over for the much-loved Ron Pearlman who previously dawned the sawed-off demon horns in Guillermo del Toro’s two original films, is seemingly having a lot of fun and making the most out of having the opportunity to play the character, but his vigor isn’t near enough to justify sitting through an extended two-hour runtime for a movie that could have been streamlined into ninety-minutes of pure, horror/action schlock. This version of the comic is what it seemed Marshall wanted to make given he was granted an R-rating, but even the leaning into of the restricted rating is wasted on an excess of blood rather than being capitalized on with more creatively gruesome endeavors. 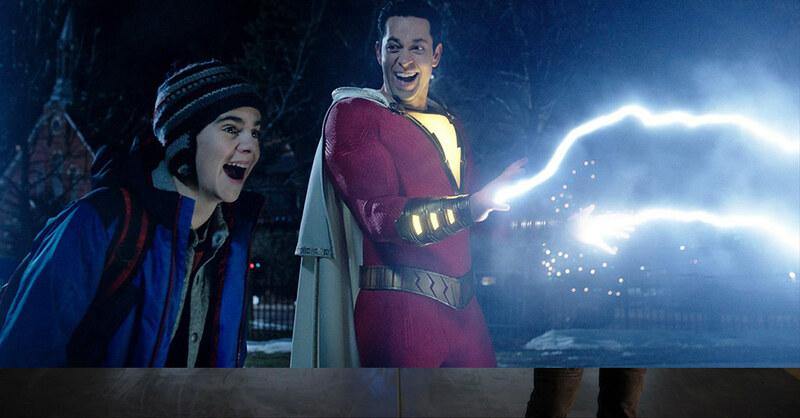 April is off to a solid start as Warner Bros. and New Line secured the top spot in both the domestic and worldwide marketplace with Shazam! 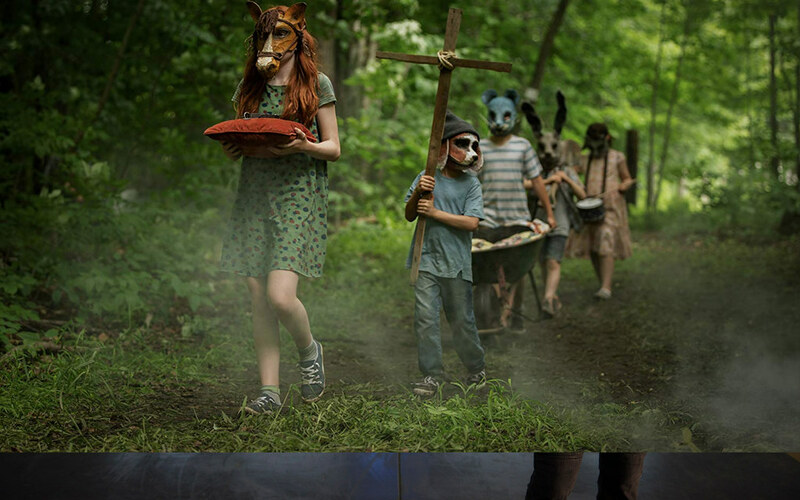 while Paramount's release of Pet Sematary scored the second largest opening for a Stephen King adaptation. Shazam! delivered just above expectations with an estimated $53.4 million for a cumulative total of $56.7 million after grosses from March Fandango events are factored in. The film received an "A" CinemaScore with males making up 57% of the crowd and 55% of the opening weekend audience coming in aged 25 and over. 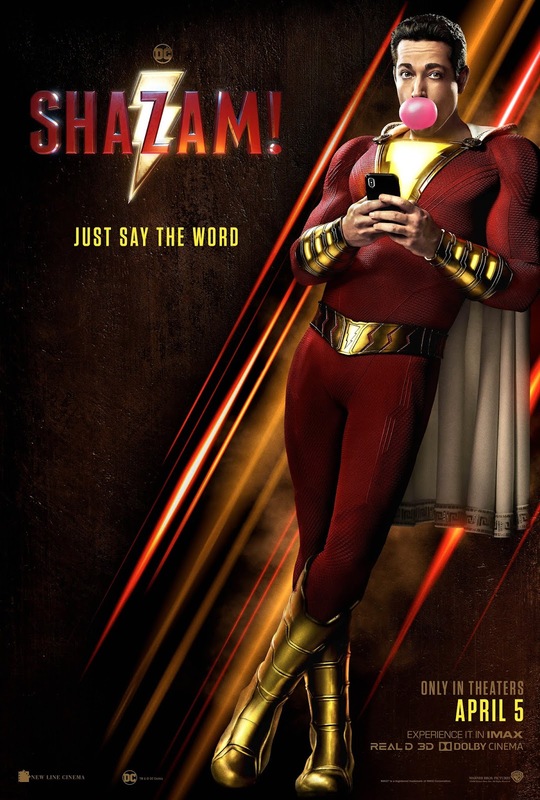 It will be interesting to see how Shazam! plays over the next few weeks given both the positive word of mouth and how far it might be able to climb ($200 million anyone?) ahead of the April 26 opening of Avengers: Endgame. Shazam! also garnered an estimated $102 million from 79 international markets as the film opened day-and-date in virtually all overseas territories. 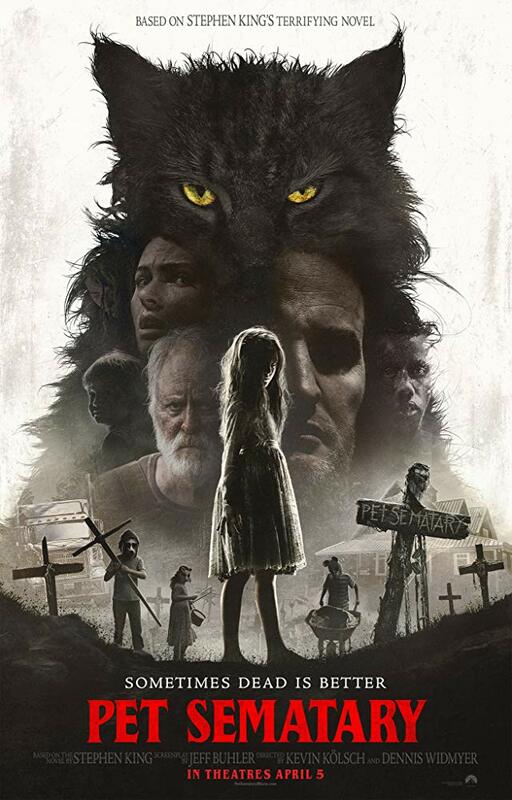 In second place, Pet Sematary delivered an estimated $25 million, which is about what was expected from the new King adaptation given its $21 million production budget. 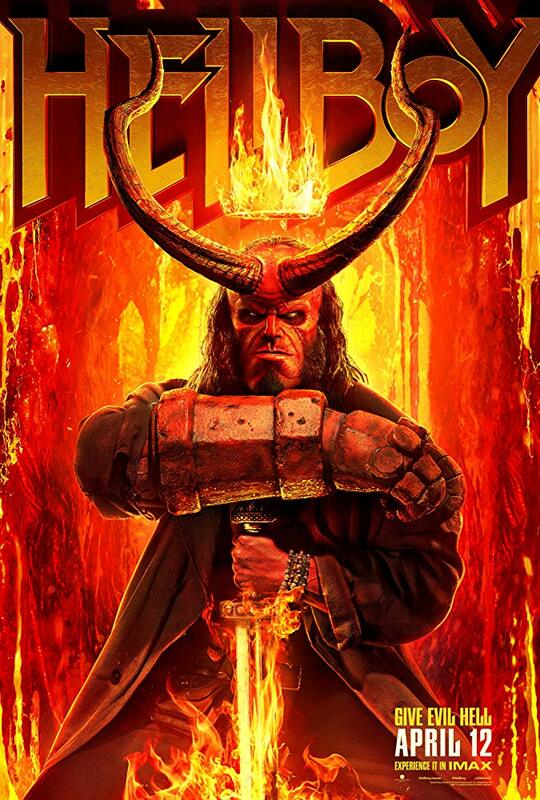 However, the film did receive a "C+" CinemaScore which may not bode well for the film in the upcoming weeks given the new Hellboy opens this weekend and can sub as both a fun popcorn comic flick as well as a horror movie. 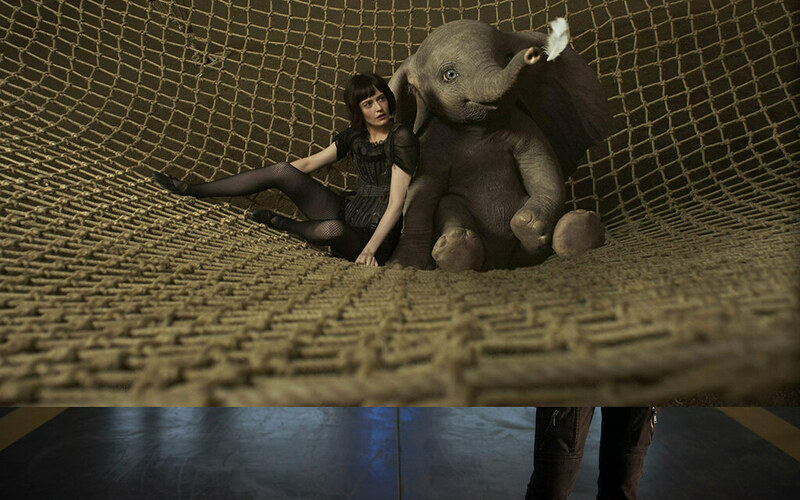 Time will tell, but in holdover news Disney's Dumbo opened in third, dropping a massive -60% in just its second weekend with an estimated $18.2 million, bringing the film's domestic take to over $76 million against a $170 million production budget. Jordan Peele's Us from Universal took a -58% dip in its third weekend for a total of $152 million thus allowing it to enter the ranks of the top five R-rated horror films ever. Us also added another $10.3 million internationally as its global cume now sits at over $216 million. 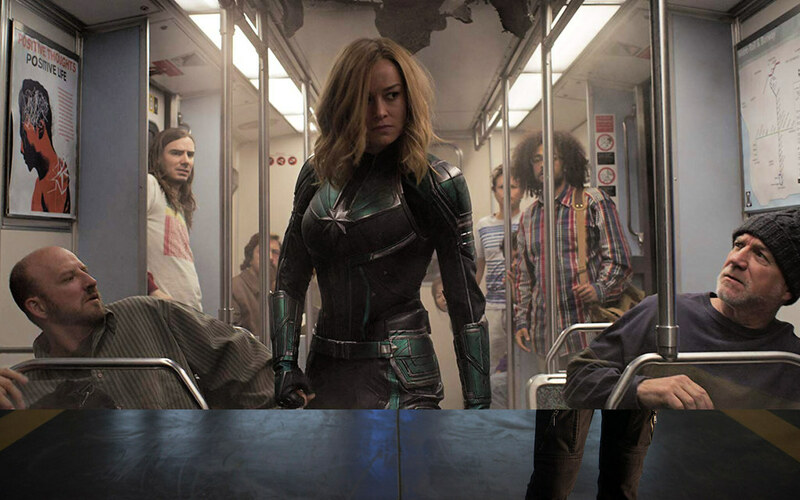 Rounding out the top five is Marvel Studios Captain Marvel with an estimated $12.68 million; the MCU film has now topped $374 million at the domestic box office with a global cume that now stands at $1.037 billion, moving it into top 30 all-time ranking. The other new release of the week, STX's The Best of Enemies, fell a bit below expectations and outside of the top five with an estimated $4.5 million. As always, be sure to follow the official Initial Reaction YouTube channel as well as on Facebook, Instagram, and Twitter where you can find a new review (or reviews) each week! As with 2017's IT, this year's adaptation of Stephen King's 1983 novel is an update of an earlier adaptation that has a loyal fan base born of the generation in which King also penned these horror stories. Is this to say those original, filmed adaptations were more in tune with King's stories than today's updates? I couldn't say specifically in regards to IT or Pet Sematary as I haven't had the nerve to open either of those books, but while 1989's Pet Sematary and 1990's IT miniseries undoubtedly share a certain kindred spirit with King’s novels these current re-imaginings operate on a grander scale of sorts-idolizing the source material in a way that translates these stories in more epic terms to the screen. King’s emotionally-driven, character-based work tends to use the horror genre more as a mask for saying what he wants to say which would seem to account for why King’s work has always operated in being more vividly unsettling than straight up scary, but the themes of Pet Sematary are really dark...even for King. Though I have no personal connection or nostalgic ties to either King’s original novel or the original 1989 movie adaptation I tend to be intrigued if not by the premises of King’s works, but for the emotional investment they are able to create through this aforementioned character work. This is why IT ultimately worked so well two years ago for despite having a terrifying clown at the center it was the group of kids and their personal stories as well as the dynamics between them that allowed the movie to work and to be about things besides Pennywise. In directing duo Kevin Kölsch and Dennis Widmyer’s new take on King’s material, there is certainly no fear of going as far as is necessary to evoke the grief that comes along with dealing in loss and more specifically-the loss of a child. Kölsch and Widmyer undoubtedly create a sense of dread from the beginning playing the titular location in a way King would be proud as this sense of dread is not only represented in the literal manifestation of this burial ground, but of the reach it has into the lives of those that both live near and/or meddle in it. 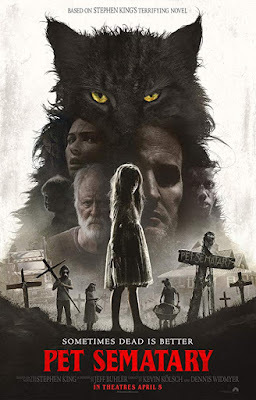 An interesting concept and fitting approach, no doubt, but while the emotions are as raw as the aesthetic approach it is a lack of connection to these character’s-especially Jason Clarke’s withdrawn nature despite his character’s actions-that give Pet Sematary a strong sense of purpose if not the lasting, devastating impact it seems pre-disposed to possess. Shazam! immediately sets itself apart from its comic book brethren by opening the film not with a flashback to that of the titular heroes origin, but to that of the origin of its main villain; an antagonist that very easily could have been the protagonist and caused this story to be quite different had one slight outcome been different. Maybe slight is the wrong word as Mark Strong's Dr. Sivana takes a certain defeat to heart and dedicates his life from this point on to figuring out why he wasn't worthy of dawning the Shazam suit. The point being, director David F. Sandberg (Lights Out, Annabelle Creation) and screenwriter Henry Gayden (Earth to Echo) begin their movie by filling in the blanks of the bad guy and immediately set-up the audience with an understanding and empathy as to how the rest of the events we see unfold do in fact unfold in the manner they do. This is a key ingredient in a recipe that is repeated so often these days with so many super hero and comic book films saturating the market. Such is the case that filmmakers, studio heads, and whole creative teams alike have essentially been forced to find ways to differentiate their hero from the next studio's hero. While personally, I'm as sincere a fan of both sides of the studio rivals as I could imagine to be Shazam! does a pretty damn good job of making a full-length, fun feature out of what could arguably be one of the corniest super heroes ever put to panel. Shazam is a super hero that is actually a kid and is costumed like a hero out of a 1940's serial series wearing his cape with pride and his spandex with dignity as the large, luminescent lightning bolt that is the symbol of his heroism shines brightly at the costume's core. While most modern super hero films will tend to dial back the costumes that graced the pages of the source material so as to ground the film and the character in more of a familiar reality, Shazam! embraces the corniness whole-heartily and then balances it with a true threat in the aforementioned villain, true tension in that villain's master plan, and real stakes that aren't cataclysmic in nature, but more personal both in relation to the characters we come to know and invest in as well as in making the film feel more like a small movie made for a specific group of people rather than the big movie that appeals to everyone it so very clearly is. Joaquin Phoenix enters the super hero genre with what is probably the only role he could have ever entered into the genre with: the Joker. While Phoenix was a ripe thirty-four in 2008 and could have more than capably played this same role in Chistopher Nolan's groundbreaking The Dark Knight it is hard to argue anything less than kismet that Heath Ledger took that role and now eleven years later Phoenix is working with a filmmaker more his speed in a film solely dedicated to the character. Despite his films typically receiving more negative press than unanimous praise, I've been a fan of director Todd Phillips since he knocked me out with a double dose of Frat Pack greatness in 2003 and 2004 in Old School and Starsky & Hutch before going on to become better known for his Hangover trilogy. While that trilogy may have become more and more mediocre over the course of three films in terms of story, they vastly improved Phillips' cinematic eye while the filmmaker's subversive take on the material at least led to interesting outlets. And while the character of the Joker arguably will suffer more than he might prosper from an origin story, with a screenplay by Phillips and Scott Silver (The Fighter) along with a cast that features the likes of not only Phoenix, but Robert De Niro, Brian Tyree Henry, Zazie Beetz, Shea Whigham, Frances Conroy, Brett Cullen, Marc Maron, Bill Camp, and Bryan Callen it's hard to argue one isn't at least intrigued by the promise if not excited by the idea. Furthermore, can we emphasize the cinematic eye of Phillips and how it has only continued to grow with what we see in this trailer? The seventies-set New York crime drama feels visceral in a way that transcends the legacy of the character almost and places him in the real context where it seems possible a true clown prince of crime could truly rise from. This is also very clearly a much, much darker movie than other DC films like Aquaman and Shazam!, as it will seemingly stand apart from the rest of the pack as a one-off character study rather than contributing any narrative strands to the larger DCEU. Joker is set to open in theaters on October 4th, 2019.